In a short teaser released by HBO, it was revealed that the final season of Game of Thrones will be airing in April 2019. It’s been a long wait for fans of the fantasy epic now have a more definite date to look forward to. 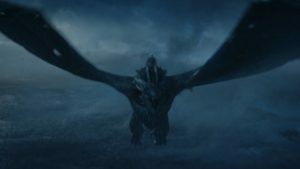 The last season of Game of Thrones will only have six episodes, jam-packed no doubt with all the epic events that will need to wrap up the saga of the Seven Kingdoms. A premiere in April, as Collider notes, is a return to the traditional air date of the show, with the very first season coming to our screens last April 17, 2011. Subsequent seasons also debuted in April except for the last one which aired in July 2017. The short clip does not contain any new footage but it is still pretty thrilling to watch as it combines many of the most exciting moments from the series, showing how all of these choices and events have led to the massive finale to come.